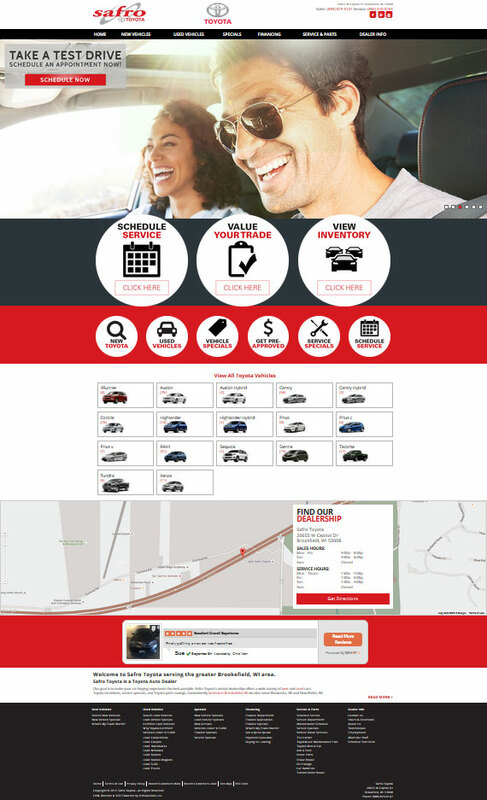 Safro Toyota is a client of VinSolutions. I really liked breaking out of the mold to try some new things with this site. Front-end development using propriety VinConnecty CMS. This entry was tagged CMS, CSS, HTML, jQuery, Responsive Design.